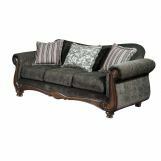 The Olysseus brown floral sofa collection adds a hint of elegance to any room. 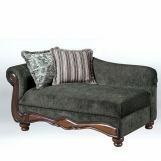 The sturdy, large turned legs and detailed carved wood give a feeling of comfort. 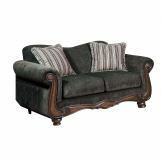 The transitional fabric, beautiful floral/striped fringed pillows, and rolled arms only serve to further the feeling of comfort. 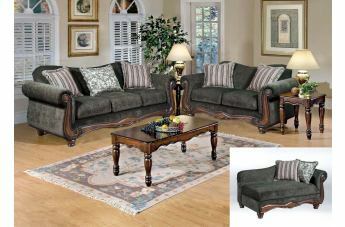 Serta collection, made in the USA.